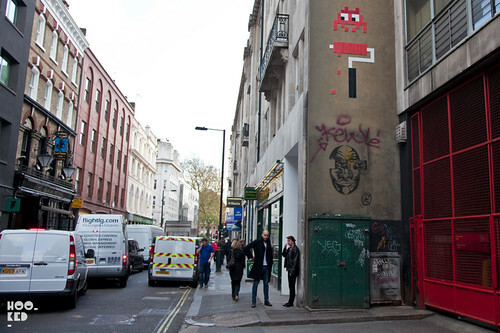 Following the opening of Attack of the Space Waffles exhibition at Lazarides Outsiders space, Invader took to the streets of London for this his ninth invasion of London. 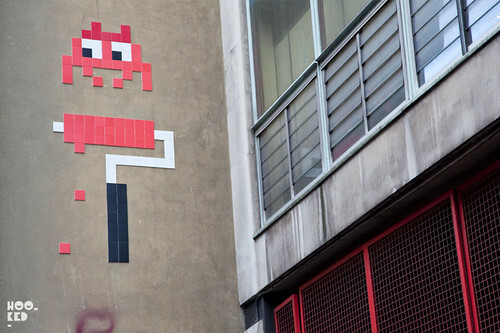 The first eight waves has seen 101 Invader pieces installed across the city and his recent visit has seen some new additions to the city. We captured one of three new pieces spotted close to Brixton station and another opposite Lazarides Gallery on Rathbourne Place in central London. 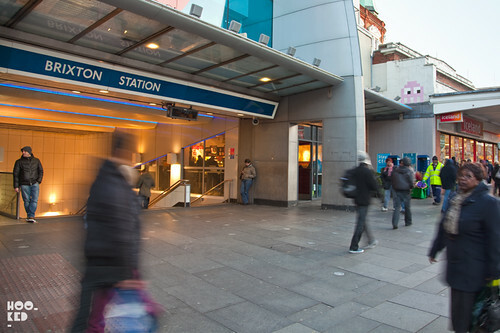 We imagine there are more out there, if anyone see any more let us know! 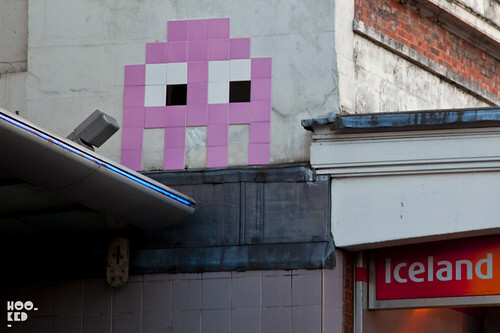 If would appear that the pink Invader piece above has now been removed, there have also been reports in the paper that two other Brixton pieces have been removed or possibly stolen in the last few days.